Soon, we may understand the language of another species. Swedish startup Gavagai AB, a language technology company that originated at the Swedish Institute of Computer Science, has mastered 40 human languages with its language analysis software. Now, researchers from the KTH Royal Institute of Technology are teaming up with Gavagai AB to take on the language of dolphins, in a project undoubtedly focused as much on testing and expanding the system’s capabilities as deciphering the thoughts of dolphins. 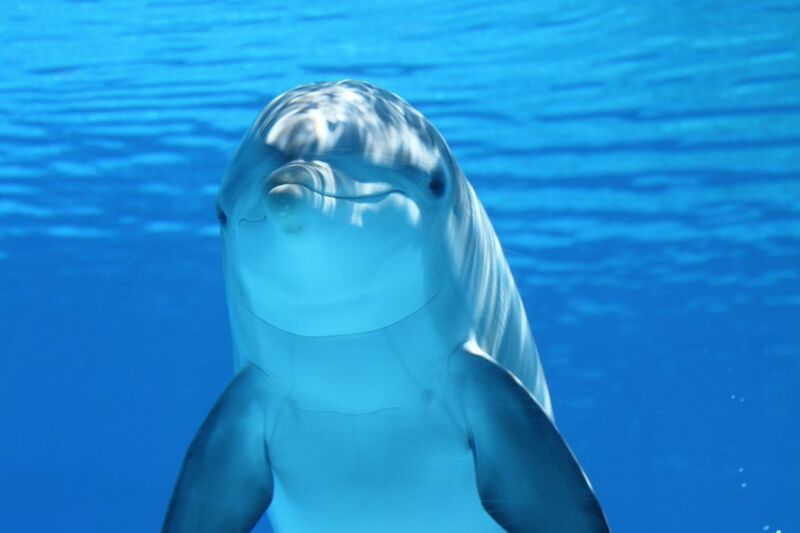 The team will monitor bottlenose dolphins in a wildlife park and use Gavagai’s artificial intelligence (AI) language analysis technology to decode the sounds and, if all goes according to plan, compile a dictionary of dolphin language. The team is confident that they’ll be able to do this, thanks not only to the AI capabilities of the Gavagai AB system, but also to the availability of more dolphin data, larger computational resources, and newer recording methods. “We hope to be able to understand dolphins with the help of artificial intelligence technology,” KTH adjunct professor and Gavagai co-founder Jussi Karlgren said in an interview with Bloomberg. “We know that dolphins have a complex communication system, but we don’t know what they are talking about yet.” Whether Gavagai can convince other researchers in marine biology remains to be seen. Gavagai has already mastered 40 languages, but their systems focus on textual analytics. Like the ultimate tool for a paranoid junior high school student — or a savvy business that needs to manage its reputation and keep an eye on competitors — These programs by Gavagai allow for deep textual analysis in 40 languages. This can include monitoring and comparing various concepts as well as providing instant, visual insights into a range of possible emotional responses. Understanding dolphin language may sound like kind of a strange goal, but in context it makes sense. Of course, zoologists would benefit from the breakthrough, but so would businesses. Massive companies like Amazon.com and Alphabet are already using machine learning and AI to respond to customer requests and problems faster and without new programming. This latest venture with dolphins will be a kind of next level testing for these kinds of capabilities, and as CEO Lars Hamberg tells Bloomberg, the dolphin research will help Gavagai AB improve its tool for other uses. Beyond this, it isn’t hard to envision other applications, some more controversial than others. The U.S. Navy has used marine mammals, including dolphins, in its San Diego Space and Naval Warfare Systems Center Pacific (SPAWAR) for some time. Their dolphins have been used for thinks like mine-seeking. The idea of preparing to communicate with alien forms also comes to mind. One of the problems with finding extraterrestrial life, as exciting as the prospect is, is that we will need to find ways to communicate. Since Gavagai’s systems have already mastered human languages, moving on to other life forms seems like a smart next step if we someday hope to use AI and machine learning to communicate with who- and whatever we meet as we explore further through our Universe.